Eeva Meltio (FIN b. 1977) has studied art education in University of Art and Design Helsinki. 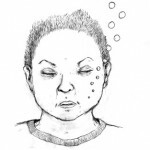 Her background is in performance art and multimedia design. 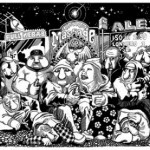 COMICS AROUND THE BALTIC SEA SEMINAR: On the 9th and 10th December the Finnish Comics Society organizes an international comics seminar in the Koomiksikeskus. The seminar focuses on comics culture in the countries around the Baltic sea. The main idea of the seminar is to talk about possibilities of building a comics programme that would cover all these Baltic sea countries. This would need EU financing, and one of the biggest aims of this seminar is to see if support could be applied. In addition to the planning of the EU programme the object is to discuss eg. 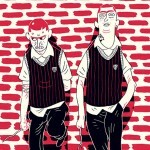 how Baltic cooperation between the comics festivals could be increased. The Finnish Comics Society is hosting a Nordicomics workshop in Tallinn. 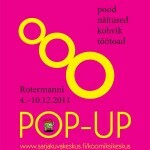 The workshop will be held in Rotermanni keskus in central tallinn, Estonia, at the Pop-up Koomiksikeskus from 5th to 9th of December 2011. 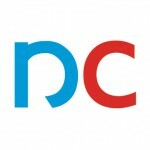 At the same time there will be the Nordicomics Baltic exhibition, which showcases new comics from the Nordic and Baltic countries. 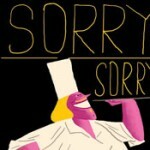 History and present day of Finnish comics will be presented in Oslo Serieteket on 10th of November 2011. The Finnish comics day includes artist interweaves, presentations and the opening of the Finnish Comics Annual 2011 exhibition. The program is free of charge and open for everyone. The presentations and interweaves will be held in English. The Finnish Comics Society and the Hanasaari Swedish-Finnish Cultural Center invite Finnish and Swedish professional comic artists to a two-day seminar in November. The main goal of the seminar is to discuss export issues related to Finnish and Swedish comics and to find new ways to cooperate. 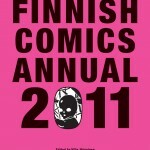 The past, present and future of Finnish and Swedish Comics will also be discussed in the seminar. Kolor Klimax, edited by Matthias Wivel will introduce interesting Nordic artists from Norway, Sweden, Finland and Denmark.